Starting today! Get Fruits Commander THEME! SA and A Flight Challenge Campaign on TouchLive is starting today! 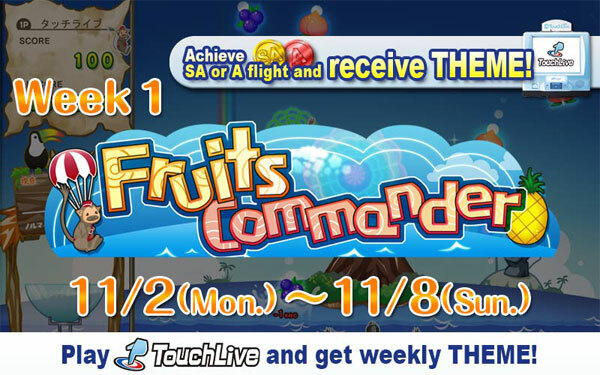 The THEME will be awarded to all players who achieved SA flight or A flight in Fruits Commander! It might be easier to score high in Fruits Commander than other games?! 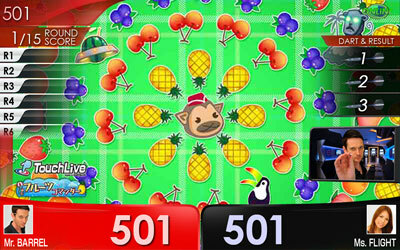 Predict the trajectories of the dropping fruits and let the monkey go for it! Even if you have never played this game‚ just take the challenge and get the THEME!